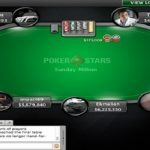 An Irish professional poker player named myleftfoot33 wins prestigious Sunday Million event at PokerStars and pocketed an amount of $148,934 as first prize. 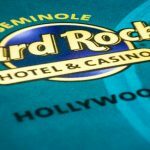 The $215 buy in No Limit Hold’em tournament took place on 12/4/16, which attracted 5,235 players from many countries. Total prize pool for the event was $1,047,000, which was distributed among top 728 finishers. 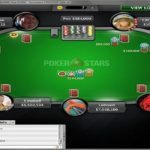 donkey310, a pro player from United Kingdom becomes runner up and collected a good total of amount $104,515.09 as winning total, whereas third position of this week’s Sunday million goes to another player from United Kingdom named Ashwatthama, who took home $73,345. 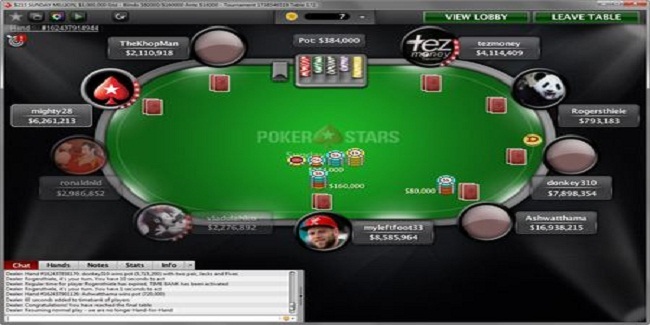 The final table of the game was set after a player from Mexico named BlackFourz got busted to tenth position. 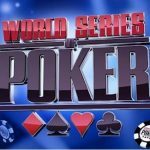 Seat#1, seat#2 and seat#3 were for tezmoney (4,130,409 in chips), Rogersthiele (809,183 in chips) and donkey310 (7,914,354 in chips). 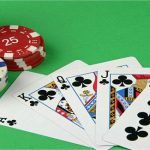 Sea#4, seat#5 and seat#6 were for Ashwatthama (17,034,215 in chips), myleftfoot33 (8,761,964 in chips) and vladulaNko (2,292,892 in chips). Meanwhile seat#7,seat#8 and seast#9 of the final table belongs to players from Malta, Denmark and Ireland and they were ronaldnld (3,002,852 in chips), mighty28 (6,277,213 in chips) and TheKhopMan (2,126,918 in chips). 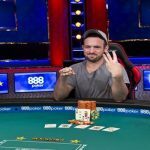 The first player got busted from the final table was Brazilian Rogersthiele, who made $8,760 before leaving the table and was booked at ninth position. 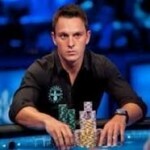 Next man hit the rail was an Irish TheKhopMan, who took home $12,483 before quitting the game for his eighth position. 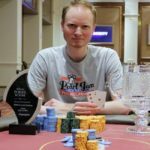 Seventh, sixth and fifth places were for players named as ronaldnld (Malta) $17,788, tezmoney (United Kingdom) $25,348 and vladulaNko (Bulgaria) $36,121. 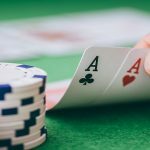 Looking for best uk poker sites ? 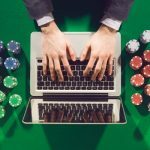 check out realpokeronline.co.uk/ for the same and you would know the difference.